Today was Day #4 of Chocolate in Toyland Theme Week. Teddy bears and other toy bears are popular year-round. 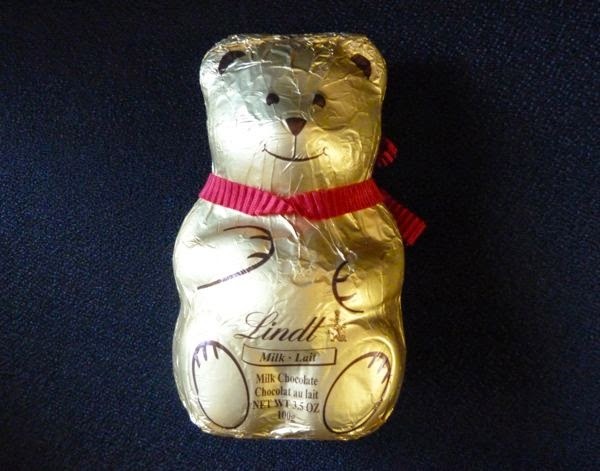 Today's Lindt Teddy bear from Lindt and Sprungli (Switzerland) was all dressed up for the holidays. It looked similar* to a large Haribo Goldbaren (German for golden bear), but was wrapped in gold foil with a red ribbon around its neck. 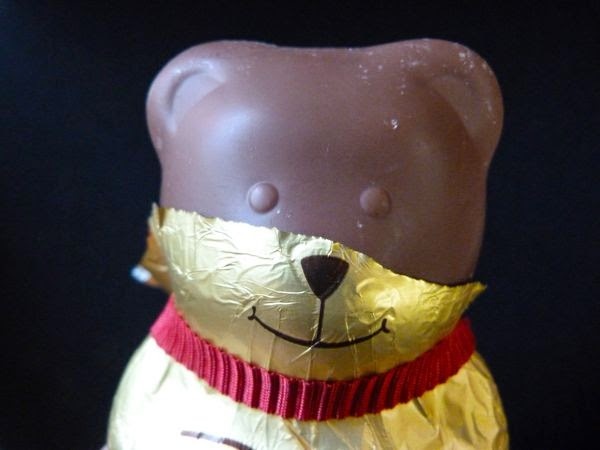 And instead of a Haribo fruit-flavored gummy bear, this friendly-looking bear was hollow and made of 30% milk chocolate. It was sweet, smooth and flavorful. And soon, one bite led to another, and the bear wasn't there anymore. 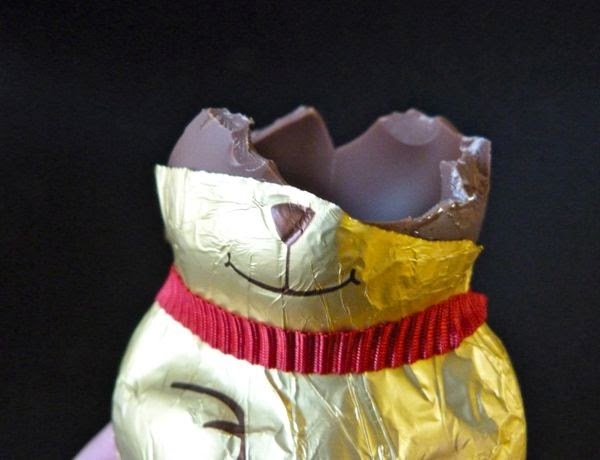 *In fact Haribo complained that the similarity between the Lindt Teddies (first produced a few years ago) and the Haribo bears would be confusing to customers; a court, in the end, cited with Lindt.